Being prey animals, horses are fine-tuned to our emotions and body language. They are incredibly perceptive and sensitive creatures. They can tell if we are stressed and agitated (a hungry lion looking for our next meal) or happy and relaxed (a resting lion getting up for a stretch). They give us feedback appropriate for those emotions, like holding up a mirror to our soul. Sometimes they know how we're feeling before we're even aware ourselves. This is what makes them the perfect teachers for us imperfect humans. healthy routine: waking up early, mucking manure, lifting hay bales, carrying saddles, and exercising our horse. All this work keeps us healthy both physically and mentally. When we spend time outside with horses we are truly in touch with all the best Mother Nature has to offer! Time and again we have witnessed one of our lesson horses act as a complete saint for one of our young beginner riders, but on that very same day, challenge a more experienced, older rider. Horses are intelligent animals (see reason #1). They know when its time to be gentle and when its time to push back. When treated fairly and kindly, horses can grow to be incredible partners with us humans, accomplishing incredible feats in the world of horse sports. Their incredible power reminds us to be humble. Just this morning, I watched our most gentle lesson horse, Ginger, sprint at a full gallop to come get her hay. It gave me a not so subtle reminder that despite her bunny rabbit demeanor, she is after all filled with incredible horse power. I stood their in awe marveling at her sheer strength and beauty. And because of their power, I have come to learn that horses will NOT do anything they absolutely do NOT want to do. So when they go trotting off in their second or even third beginner lesson of the day - it is because they are generous and kind and willing. At MVRU, we are very lucky to have a string of very generous and kind lesson horses for whom we are extremely grateful. So do yourself a favor and go out and love a horse! If you don't have one to love, we have plenty to choose from at MVRU. If you are lucky to love one already, then make an extra commitment to provide the best care for your friend this coming year. Your horse - and your body and mind - will thank you! As a very physically active and strong fifty year old, I suffered a deep brain hemorrhage in 2007. Fortunately, I survived. However, it left me unable to walk. My left leg and arm were paralyzed. I was devastated as I ruminated about all the activities I loved doing that I now was unable to do: cross country skiing, biking, running and hiking. One of my therapists suggested that I try to find an outdoor activity that would accommodate my disability rather than focus on the activities I used to enjoy prior to my stroke. 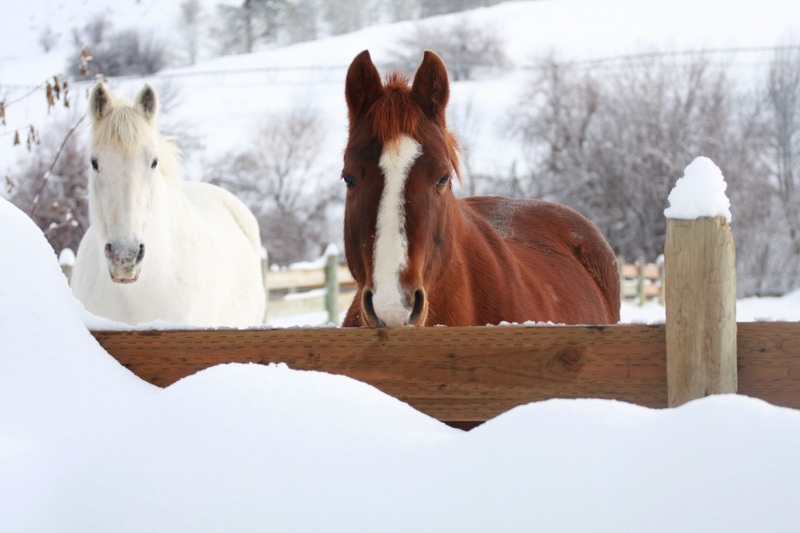 I didn’t know what those activities would be until I heard about Methow Valley Riding Unlimited. This riding center trains able-bodied riders of all ages but also works with people who have some kind of disability be it physical, emotional or cognitive. The first summer after my stroke, I signed up for a lesson. I was paired with a very gentle, calm horse named Ginger. I was skeptical about this all working out, but went for it anyway. To get on Ginger I walked up a ramp to which Ginger was standing parallel. I sat down, swung my right leg over Ginger’s neck and sat straddled on her. My instructor, Annie, guided Ginger and me into the riding arena. When I look at a picture taken of me on Ginger that day I was slumped over towards my right as my left side had no feeling. I often felt like I would fall over toward my left. I was sitting totally off balance and crooked. The next few lessons, Annie focused on trying to get me to sit in the middle of the saddle. The next step in my progression was to go on a short trail ride. Going up and down hills required me to use not only my right leg but my left as well so I would not fall off! Every summer, I rode as often as possible. I moved from walking to trotting on Ginger and then walking and trotting in figures like circles and serpentines. Now, ten years later, I have advanced to riding Homer, a horse that presents me with different challenges. Homer is more narrow than Ginger and his trot is bouncier, requiring more core strength to stay on! All of this riding has strengthened my left leg, my back and my core muscles all of which has helped me walk better - despite the warnings from my doctor that I may never walk again. Just as importantly, it has also provided me with an outdoor activity that I love. I hope I can continue riding for many more years to come. Thank you to the horses and instructors at Methow Valley Riding Unlimited for being such an important part of my recovery. 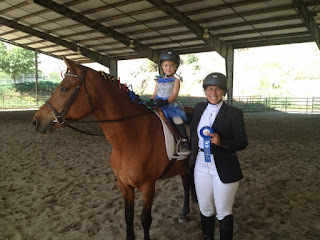 This spring and summer, in addition to riding, I have also been helping with younger kids’ lessons. I started working in these lessons about two years ago. It’s been a great learning experience and a way to look at my growth as a horse person and part of the ranch. When I was first starting lessons at the ranch, I was always looking up to and following the older girls. They helped me groom the horse, they led me in the lessons, they offered bits of advice and help all the time. Growing up to be one of those girls is a really special experience. 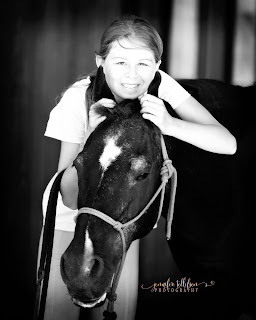 I still look up to and follow the older girls who are my role models; but also being able to teach, help, and lead a younger generation in their own love of horses is in itself a learning curve and step up in horsemanship. Through working with younger ‘horsey’ kids, it has been interesting to see each kid’s interaction with the horses. Some are bolder, and have either been around horses before or are more confident in new situations. Some are much more timid, and don’t gain their confidence until they have spent a significant amount of time around the horses. 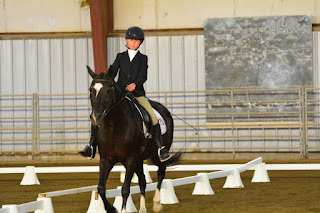 Sometimes a kid will pick out one horse that they will grow with and build their confidence around, while others like to experience many different horses, learning as they go with each new horse. It is also interesting to see how sometimes, a kid will suddenly decide they prefer a different horse after just seeing it. For instance, when I was helping with the Little Star Camp earlier in the season, I was working with a very timid, quiet little girl, who wasn’t very comfortable around horses yet. She had just come from a lesson on Ginger, who is extremely well behaved and loves little kids, and was now scheduled to ride Little Black. She brought her grooming bucket out to him, and I introduced her. As soon as she had tentatively patted his shoulder and Annie came by and said “and look- he’s just your size!”, there was a change. She looked at him, nodded and began grooming him quite enthusiastically. Just because Little Black was about one hand shorter than Ginger, she felt more comfortable. Each day of camp after that, she asked to see Little Black. This demonstrates in many lights how horses will play a big role in the development of people of all ages. Being around horses empowers and builds the confidence of people, while still posing a challenge and also awareness for another animal. Just like the little girl, sometimes it takes time and just the right words or moments to make a change; or with others, it may happen even more gradually, just through spending time with these exquisite animals. Looking back on my progress, reflected in various ways in each of these young riders, it is really interesting to see how their original attitudes affect their first experience, then change, or sometimes build, through more of their time with horses. 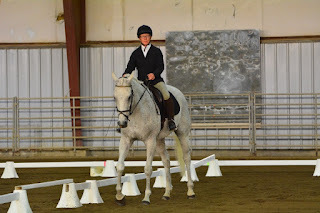 Working in the younger kids’ lessons has helped me truly understand how to work with the horse, while balancing that with the needs and ability of the rider; important skills that have helped me in my lessons. McKenna Barnes didn't start out as the confident, capable horsewoman she is today. McKenna started out as a very quiet, shy little five year old girl who with focus and determination, has blossomed into a critical staff member at MVRU. McKenna has helped out with just about everything from teaching to moving cattle to caring for and training our horses to serving as a junior board member. Sadly for us, this is McKenna's last year with MVRU as she moves on to pursue a degree in Equine Studies and Business Management at Lake Erie College. We are so proud of how far she has come so we're featuring her in this month's friend spotlight to celebrate all the wonderful contributions she has made to our program. We will miss you very much McKenna! AB: I first met McKenna when she was an extremely quiet but horse crazy five year old girl attending one of our summer day camps. 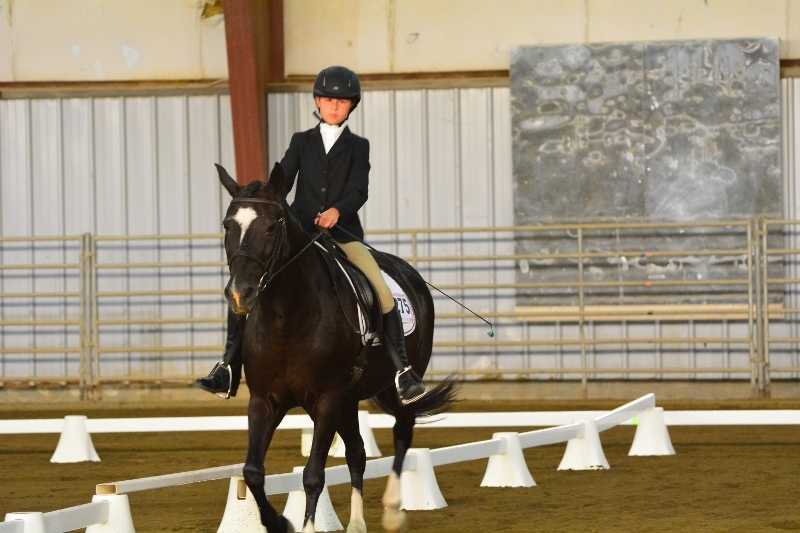 I have a fond memory of McKenna and Cassidy [Butler] doing a "pas de deux" (a riding duet performance set to music) at the Appleatchee Dressage Show in matching blue tutus with matching black ponies (Little Black and Midnight). They were so cute because they made up the choreography themselves and chose their own music and their own outfits. It was all self-initiated, which is pretty great when you are only 7 years old! AB: Over the past twelve years her journey has taken her through many years of horsemanship instruction, both English and Western with a concentration in three day eventing and cattle work. Along the way she became a valuable volunteer, helping out with kids camps and therapeutic riding lessons. She then grew in to a capable staff member responsible for horse care, training and teaching lessons and camps. But mostly McKenna has helped MVRU by being an authentic living embodiment of what we hope to provide in the lives of young people. By that I mean, starting out at a young age, being quite shy and blossoming and turning into a confident capable rider and human being. MVRU: What are her best character traits? AB: McKenna values what this horse journey has given her in terms of strengths and life skills and articulates it well. I think at the top of this list would be responsibility, integrity, strong work ethic and confidence. It has inspired us to see her continue to become a good rider and trustworthy staff person. She works really hard, never complains, and happily takes on responsibility. 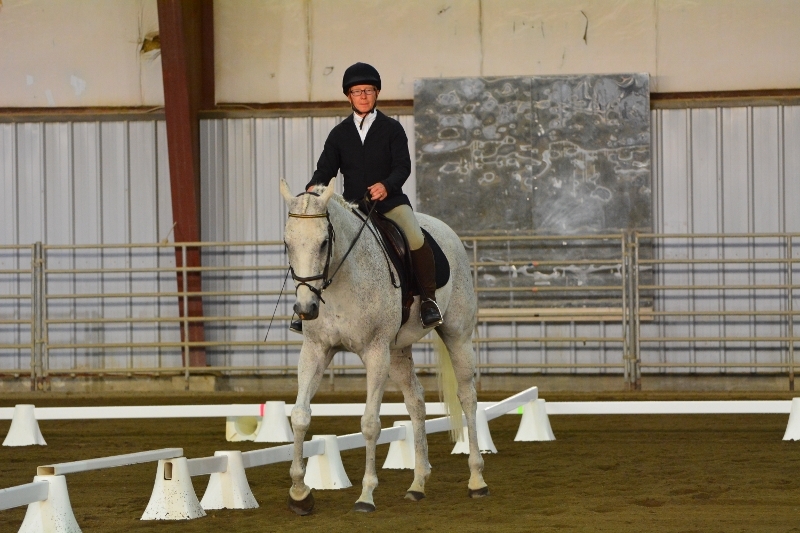 She also actively pursues her own education and improvement as an instructor, rider, and horse trainer. All that has inspired us to carry out MVRU's vision for the kind of impact we can have on somebody's life. MB: The most important thing I've learned is not how to work with horses, although horses are my passion and define who I am. The biggest thing I've learned from them is courage and confidence. I used to be a very shy little girl that didn't have a voice, and having to be in charge of a 1300 lb animal requires you to be confident and sure of what you're doing. There's no other option. Having to do this with horses then transferred to my everyday life and instead of being shy I'm not afraid to speak up and have a voice. MVRU: Who is your favorite MVRU horse and why? to progress farther than with any other horse. She gave me the perfect amount of a challenge while still making things simple enough to guide me through new ideas and activities. MB: Stick with it. There are so many different life lessons you can learn from working with horses. Not only do you learn how to ride, handle, and care for this animal, you also learn about communication, confidence, problem solving, responsibility, and hard work. The most important skills I've learned in life have come from working with horses at MVRU. Team member and MVRU volunteer, Kierra Reichert attended her very first horse show earlier this month as a competitor and more recently joined the team on an outing to Spokane Sporthorse Farm to test her skills on their magnificent cross country course. She took the time to write about her experience as an up and coming rider. We are impressed with her focus and growth in the last few months! A huge thank you to the individuals who have helped sponsor her participation on the team. 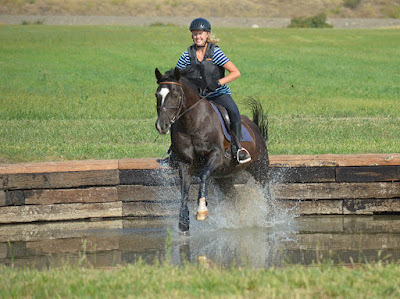 On the 15th-17th of June, I was privileged with the amazing opportunity of coming along on the team’s cross-country schooling trip to Spokane Sport Horse Farm. I got to take an extraordinary, well trained and super fun pony named Finesse, who I have been quarter leasing for a while. I learned so much during the trip to Spokane, and feel that it marks an overall step up in my riding and knowledge of horse showing. While at Spokane, I had complete responsibility of Finesse, which was a huge leap in my usual tasks of horse keeping while at an event. While at the Farm, I had three lessons, not including the much needed bandaging lesson on the first day there. In my Stadium lesson, I (mostly) memorized a full sized course of about eleven to twelve jumps for the first time, while jumping at a height that I felt was very appropriate to my level. The constant changing of directions in Stadium really gave me a feel for the first time of what canter lead I should be on, and how it matters to having a successful jump, as well as what it feels like to be on the wrong lead and be able to control that factor. Canter leads were something I had always taken for granted, mainly because Finesse is so good about them and it was never really a problem for us. Kierra riding her first ditch. Finesse says, "I got this!" my usually lazy mare. Throughout the lessons we had trouble with coming at jumps like a ‘motorcycle’! I had to work a lot harder with my half-halts and lines than I usually do because of the habit we had made of careening around turns and just barely making it over the corner of most jumps. I am very happy with my cross-country lessons because I got to try three new elements that appear often on cross-country courses: the ditch, a corner, and the down bank. I am so happy to have such a pro pony to ride! I was slightly nervous about the down bank, but soon learned that if ridden correctly, it was no big deal! Finesse was also a huge help especially on the new elements- she taught me to ride them while still making sure that they were jumped successfully every time! Finesse is an older mare, and since the only time I have ridden her off of the Ranch was at a small dressage show, I still had (and have) a lot to learn about taking care of her when we are doing more strenuous work than dressage. The bandaging lesson proved useful that very first evening when Fin’s fetlocks began to show the swelling that was expected of her after a long, hard day’s work. In taking care of Finesse I learned to adequately cold-hose and wrap her legs in standing bandages, as well as becoming more aware of how much swelling her legs would usually hold after that amount of work. I learned a lot during the Spokane ‘outing’, and am looking forward to spending more time and growing as a rider and person with Finesse. I am looking forward to grooming and learning at more shows and clinics this year, and hopefully competing again before the season is over. I’m so happy that I could come along to Spokane, and think that it really shed light on all that is possible to achieve through time and commitment. Thank you: Annie, for coaching me, Tulie, for being an amazing example of excellent riding, Bob, for helping me with my dinner expenses, and most of all Finesse, for always trying so hard with everything I ask of her, and teaching me new things along the way. 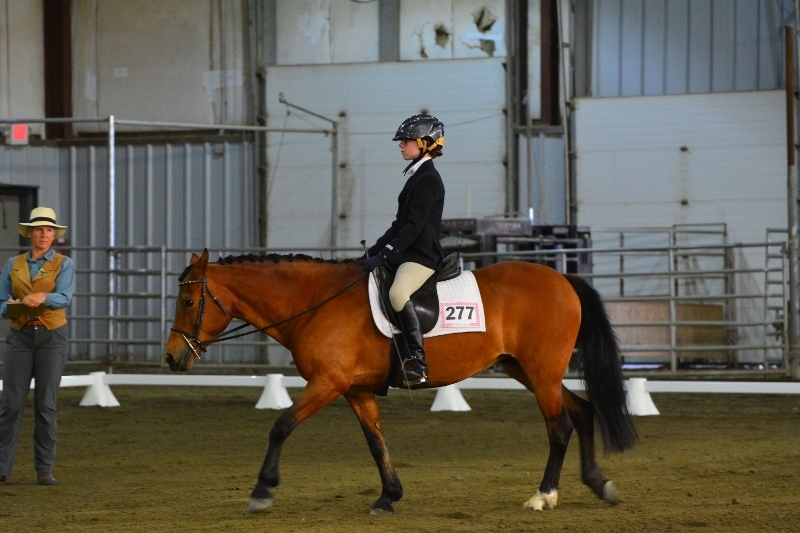 Twelve riders and eight horses representing Methow Valley Riding Unlimited’s equestrian team traveled to Wenatchee last weekend to compete in the Appleatchee Riders Dressage Show. The show has been an annual tradition for the team since 2001, offering an opportunity for young and new riders to experience their first show. 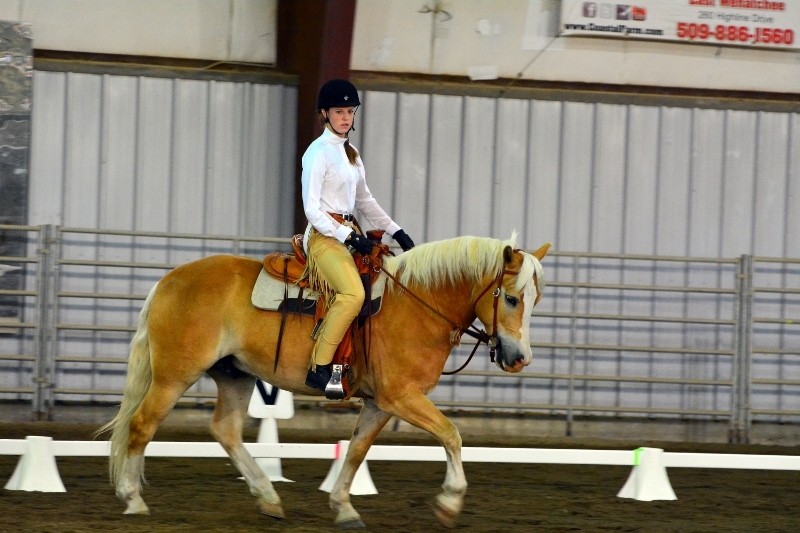 · Alexis Larson, 12, of Kirkland, riding Sparks Fly, a Welsh/Welsh Cob also owned by Methow Valley Riding Unlimited. Hana Werntz, age 4 of Twisp, competed in her first horse show, trotting with Sparks Fly to Katy Perry’s “Firework” while dressed in a blue tutu. 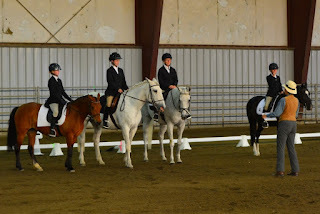 Three other team members also experienced their first dressage show: Kierra Reichert, 12, of Winthrop, Kristy Vieth, 14 of Twisp, and Pippa Smith, 9, of Riverside, WA, all earning ribbons for their performances at the introductory level. 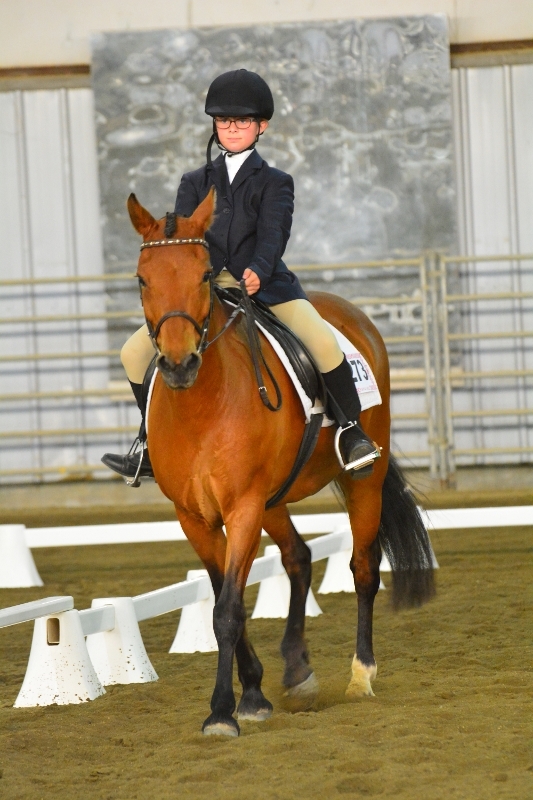 Reichert placed first in her equitation class on MV Finesse, a Morgan-quarter horse cross owned by Methow Valley Riding Unlimited. 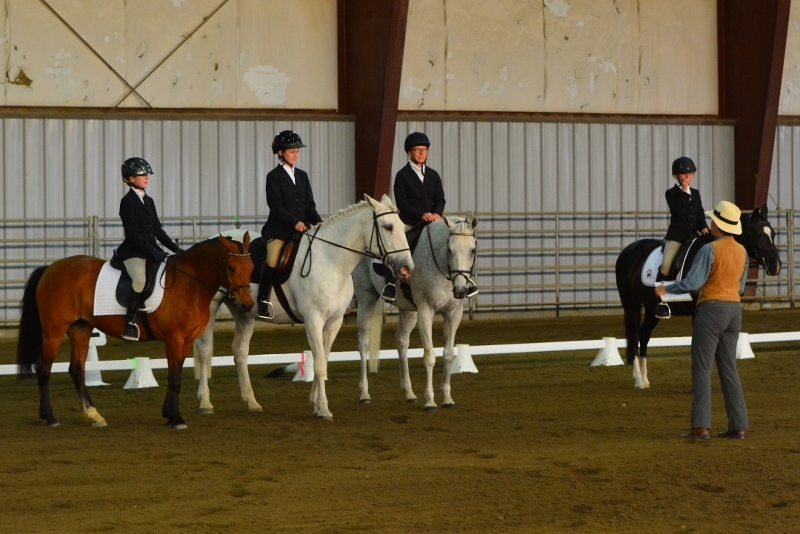 Riders await results of equitation class. Adult riders competing included Bob Levy, 63, of Winthrop on his Irish Sporthorse Paddy, Jasmine Minbashian, 45, of Twisp, riding thoroughbred Wyatt Russian owned by Annie Budiselich and Bob Levy, Cathy Upper, 63, of Winthrop, riding Forest, a thoroughbred owned by Tulie Budiselich, and Cindy Mackie, 68, of Winthrop riding her Haflinger, Willy. Team coaches Annie and Tulie Budiselich also competed at first and second levels respectively. Dressage is a term that comes from the French word meaning "training" and its purpose is to develop the horse’s natural athletic ability and willingness to work, making him calm, supple and attentive to his rider. When the series of movements are performed well, there is an impression of the horse 'dancing' with their rider. 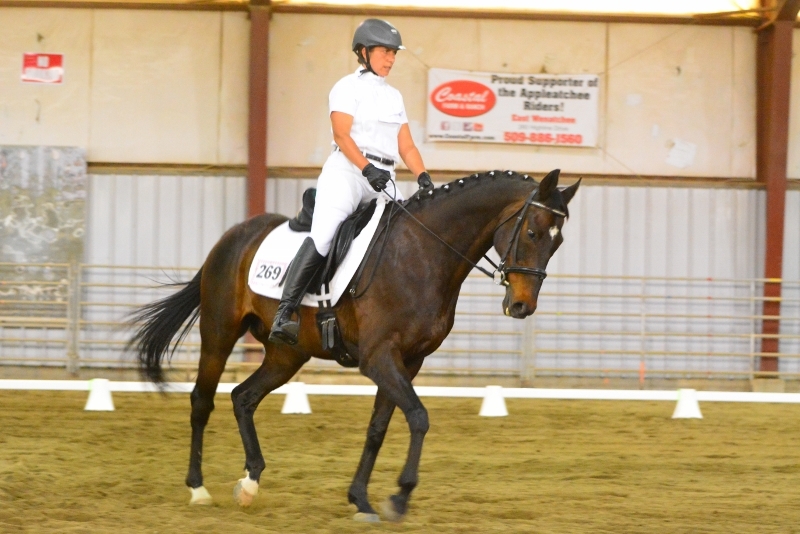 In dressage competitions, horse and rider perform a “test” comprised of a series of movements appropriate for their level of training while being scored by a judge. Scores are given as a percentage and scores above 60% show proficiency at that level. MVRU wants to extend a HUGE thank you to the parents who helped make this trip possible. We couldn't do it without your support! A very special thanks to Deb Schuler and Nancy Juergens for being our most excellent camp hosts. And last but not least to Eli Smith for taking such great photos and sharing them with us. Lexi showing off Sparks' free walk. Cindy Mackie is as dedicated as they come. She diligently comes to the ranch every day to care for and train her horse, Willy, a six year old Haflinger gelding. Cindy and Willy are on a journey to connect her two legs and two hands to his mind and four legs - which doesn’t always prove to be an easy task. But with the help of some capable MVRU staff, Cindy and Willy have made great strides in the last three years of their partnership together. This year, they have even set their sights on participating in the Ride to Rendezvous, a four day trail adventure across the Methow. AB: Three years ago she showed up to ride and I didn’t know her at all. All I knew is that she wanted to get back in good health. So I went through the beginner lesson approach with her but quickly could see she wasn’t a beginner! It was so incredibly humbling…she acted like she didn’t know anything, but she actually had been an accomplished horsewoman for a long time! AB: She “adopted” Ginger early on, making sure her needs are met and that she gets the exercise she needs. She always leads by example, always offering help and thinking of what she can do. She does just about everything: cleaning manure, cleaning tack, helping with classes, caring for horses. Cindy and her husband Sandy have also been big supporters of Let ‘Em Ride, helping us get financial support for the program through the Winthrop Kiwanis. AB: Cindy is such an incredible person for everyone here to look up to. She treats everyone in the kindest way. She is one of the most positive and appreciative people I have ever had the opportunity to meet. She is a good example for all of us! CM: I became involved in MVRU because I wanted to ride after many lost years doing other things. In the '90's I needed to work and was involved in sports as an Athletic Trainer Certified for Pacific Lutheran University and Evergreen State College. It kept me charged with the love of sport. It was in 2013 I gave in to my urge to ride again. Annie showed the movie Buck at the Twisp Pub's First Tuesday and I was hooked. 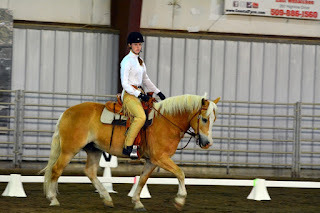 I started riding at MVRU the summer of 2013 leasing Ginger and taking lessons with Annie. CM: The most important thing I learned was that I would have to study and work hard to learn as quickly as possible all the new things I never knew about this creature: horse. I had some good instructors in my past whose methods hinted at what we call "natural horsemanship". From Annie's instruction and example doors began to open. I purchased the DVDs 7 Clinics with Buck Brannaman. Both Annie and Buck brought me deeper wonder and respect for the horse. I just had to buy a horse and experience this philosophy and its methods for myself. I figured at this stage of life, I'd need help and MVRU has been the perfect atmosphere for new learning. CM: Ginger the Great is my favorite horse. I love to take her out in spring. She's well educated, willing and patient. She's worth her weight in $100 bills!! CM: While you are here riding and learning at MVRU, work at it. Ask questions of yourself, set goals, try hard to achieve them. This is a very good incubator for developing horsemen and horsewomen of all ages and stages. What you learn here will be with you for the rest of your life. You'll think back and say "Oh, it's easy I can do this. I jumped Buttons over that impossible training level course. This challenge in my life is nothing compared to that."